A recent conversation with a friend got me thinking about the horses in my life, specifically this guy. And while this is a show picture, he meant so much more to me than just a show horse... Exactly the way that my dogs are so much more than agility dogs. I started thinking about how I taught him that different leg positions signaled different things and in showmanship how a move of my hand was a cue to speed up or slow down. 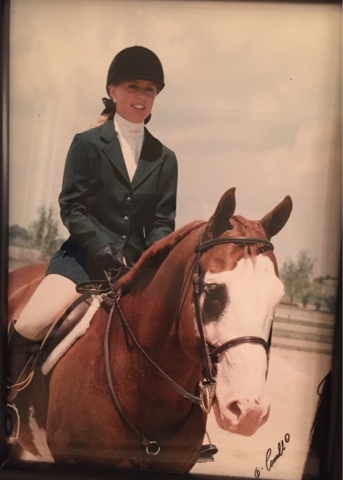 It was that training that led to relationship and the feeling of being one when I would go ride. Then, it occurred to me that is the same kind of connection I'm striving for with my dogs, the feeling of one, the subtle cues that make things look effortless on the outside, the need to play together. I know now what is my next, and likely, forever goal. It is to cultivate that connection for my dogs in our lives together. Maybe in some tiny way it will also help us shine a little brighter in the ring too. 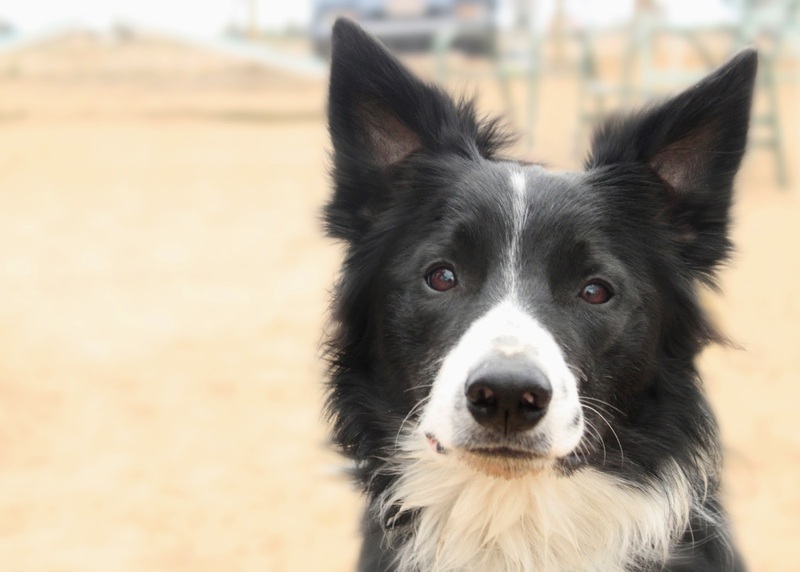 There is something about the eyes of a Border Collie, when they let you in you can see their soul. Jett is 13 months now and I'm starting to see glimpses of that wise look more and more where he stares into my eyes and we connect in the moment. And then the next moment he is back to puppy running around screaming with the toy box on his head, making the teeter bang or some other such shenanigans. But, it's there, and I am nurturing and enjoying it every chance I get. Joe Sarr Jr. took this great shot and captured one of these moments perfectly, Joe Sr. and his wife Lisa have one of Jett's brothers. If you're in the area and want some photos taken I can put you in touch with him. And, now I must go, I hear the puppy playing with the vacuum cleaner attachment again! LOL! Well, I finished my Forget Me Knot sampler a couple weeks back but keep forgetting to post a photo. The original is a bit brighter than it looks on my monitor but that's OK. Now I just need to figure out what I'm doing for framing this one! I have the fabric all pressed and laid out to start Plum Street Samplers' Crown Sampler next. 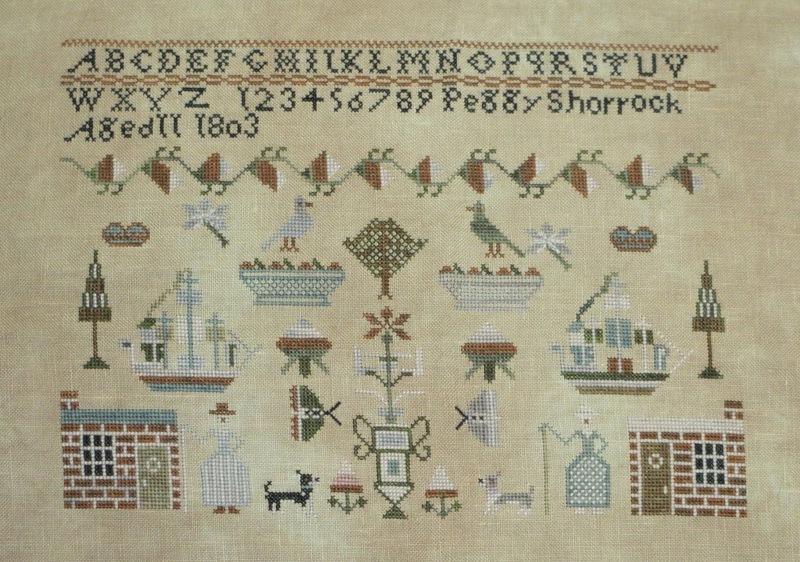 But... did you see that she is offering a Sunday Mystery sampler called Mary's sampler on her blog? She released the first part of the sampler last weekend and that is just about the amount of stitching I can handle right now with all my puppy activities. I think it might be fun to go to puppy class and then come home and stitch the newly released parts of the chart each week. Want to join me in stitching this fun piece? I need to run upstairs and pull threads and find a piece of fabric before part two comes out. My progress on the Forget-me-Knot sampler is really coming along. I took Monday off and got some time to stitch and I just can't put this down! Still not a lot of time for stitching but in the evenings the dogs get some downtime with a bone and I've been able to pick up my needle and thread and stitch a tiny bit during those times which is a nice return to what is normal for me. How fitting that on this day of remembering the worst terrorist act in our country's history to be working on a sampler that reminds us to remember the stitcher. What an awful day that was and like many I'll never forget where I was when I heard, calling my sister to tell her to turn on the TV and watching the images that night when I came home from work. Let's not forget those who died that day and in the war that followed. I was able to get all my old blog posts from my typepad blog moved over here so that one will be coming down soon. Be sure to follow this blog instead, thanks for reading!! This summer was not one for a lot of stitching. Summers for me are usually a little light on the stitching time but this summer my time was taken up by this cutie. This is my little man Jett. Jett is a Border Collie pup born back in April. He came home with me at the very end of June. The morning that I went to go pick him up I spent some time finishing up Peggy Shorrock by Plum Street Samplers. It may be hard to tell, but I changed the two dogs on the bottom to look like my dogs, Jett on the left and Sage on the right. After I finished this I went up to go pick up the real Jett and thus ended my stitching for the summer. I did manage a couple smalls that I had done the outlining on and that just needed fill in. It was nice between potty/crate/leash training to be able to pick up a needle and thread from time to time and do a little mindless stitching work. As Jett has gotten older I've been able to do a little more. I started Elizabeth Milner back in January and slowly worked my way through the stitching and recently began to have bits of stitching time again so decided to get her out and finish stitching. I loved the eyelet alphabet but I changed her quite a bit. I made color changes, centered the band with the big basket of flowers and added my initials using the eyelet stitch in the spot where I thought the sampler needed something. So, my Elizabeth is truly my own. Here she is all finished up and ready to go to the framer. With the St. Charles Market that happened in August I decided that I didn't need a ton of new samplers, smalls or other stitching projects. I have so much in my stash and so little time to stitch right now. But, like all stitching stash is concerned I couldn't help but adding just a few things to my must stitch list. On Labor Day I started Forget-Me-Knot by With thy Needle & Thread. When I saw the design I knew it was a must stitch for me! Once Elizabeth Milner was out of the WIP pile it seems logical to start this little cutie next. I'm still working on figuring out Blogger and still trying to get my old posts to import here. So, stay tuned while I work on all of that, I hope to be fully moved over here sometime this month. 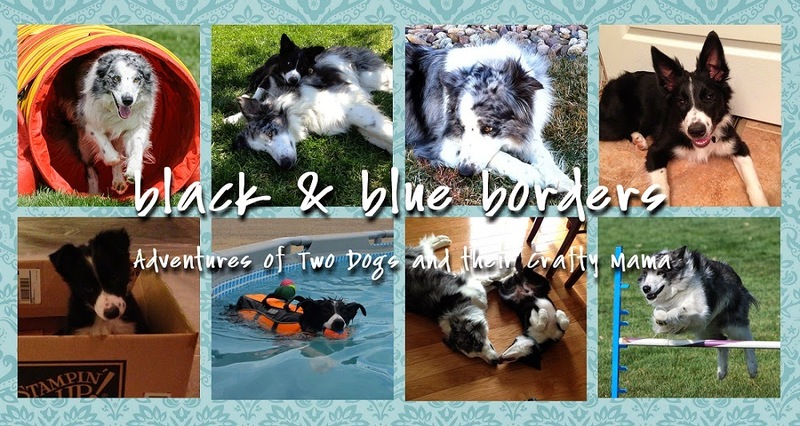 Welcome to my new blog, Black & Blue Borders! Borders because I like to stitch and usually finish the border first but also because my new pup, Jett, is a Border Collie. My adult dog, Sage is an Aussie, she's blue and he's black... hence my new blog name! Here they are on August 1 playing with Jett's sister Parker. Welcome to my blog!